At The Guyer Institute and Synergy Spa, we can help find out how your heart health is doing and recommend steps to make your cardiac health better. “For years, heart disease or heart attacks seem to be associated in the public consciousness with men, for the most part,” said Dale Guyer, M.D., founder of the institute. At the Guyer Institute and Synergy Spa, first we run a battery of standard but important lab tests for indicators of heart problems. Cholesterol, triglycerides, etc. But we can go further to assess how your heart health and circulation are doing, and let the evidence tell us how to respond. Sometimes the signs pointing to a cardiovascular problem are hereditary; sometimes due to lifestyle. We can help determine the root issues. > CRP – C-reactive protein. Your levels can reveal when something in your system is inflamed. 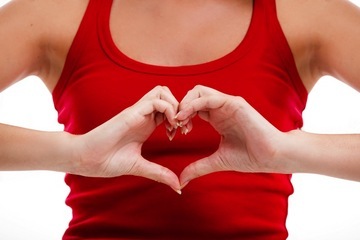 Certain inflammation can lead to a heart health occurrence. > Homocysteine – An amino acid and breakdown product of protein metabolism that, in high concentrations, has been linked to an increased risk of heart attacks and strokes. At The Guyer Institute and Synergy Spa, we counsel extensively on the right diet for good heart health. We encourage patients to embrace a healthy lifestyle: 20-30 minutes of activity daily, a diet focused on fresh fruits, fresh vegetables and lean proteins. We can monitor blood pressure and treat abnormal levels. • Ribose – Patients with sustained heart weakness often experience fatigue despite intensive medications. Ribose has been shown to improve ventricular function in the heart. • SPM-Active – A pioneering nutritional supplement that features standardized levels of SPMs found in fish oil. It supports the body’s natural capacity to respond to physical challenges and physical stress. At The Guyer Institute and Synergy Spa, we help patients treat their heart and heart heath with more care, more information, and targeted therapies. It’s the smart way to take on such a serious risk in our lives today.